Promote healthy eating habits - Children are likely to eat more fruits and vegetables if they help to make their food at home. Preparing ingredients together is a great time to talk about why our bodies need certain vitamins and how we can get those from the food we eat. 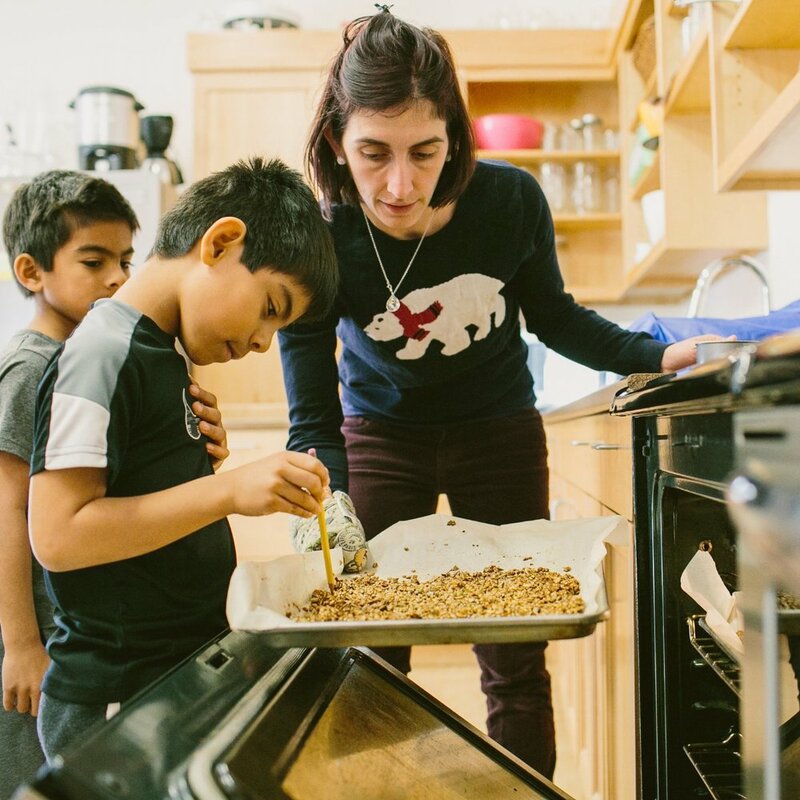 Increase their likelihood of trying new foods - When children make a meal themselves, the pride they feel in their accomplishment and the interaction they have with the food often takes away apprehensions they might have had about trying it otherwise. Teach children where their food comes from - Whether you grow your own food, visit your local farmer’s market, or head to the grocery store, the kitchen is the perfect place to talk to children about where their food comes from. Give them practical life skills - Someday your child will have to prepare their food. Why not start learning now? Doing so lays the foundation for confidence in the kitchen, and independence as an adult. Cooking teaches reading and math - While the youngest children might enjoy counting while adding ingredients, older children can read recipes and work with fractions and time. Children gain a sense of contribution - When a child helps cook a meal, they have done something important to help their family community. This is just another way to promote confidence and independence. Emphasize safety. Talk to your children about what is off-limits - whether you’d like them to stay away from hot stoves or sharp knives - make sure they know what you expect and remind them often. Make it fun! Make meals that are full of color. Make silly faces on your pizzas. Dance around the kitchen. Cooking should be a fun experiences for everyone in the family. Give your kids tools that will work for them. Make sure they are comfortable in for little hands to hold, but make sure they get to use the real thing. Click here for one good resource to find such tools. Recipes to Get You Started! Ree Drummond over at the Pioneer Woman is always full of great ideas. You may want to do some of the chopping and ingredient cooking ahead of time unless you have older children. 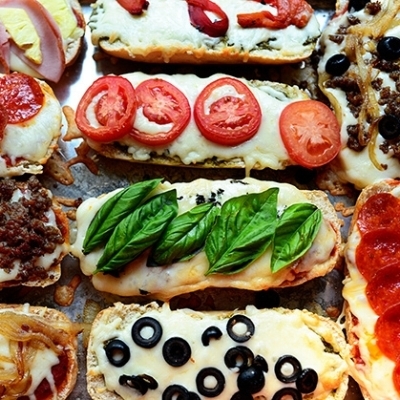 Even the littlest ones would enjoy assembling their own pizzas with whatever toppings they like. It doesn’t get much simpler (or more delicious!) than this. Children as young as three often practice spreading butters in their Montessori classrooms, so they may surprise you with their skills! Not only is this recipe easy to make, but it’s a great quick dinner option for busy weeknights. Feel free to substitute the beans for whatever your favorite protein is, and add in fun extras like guacamole! 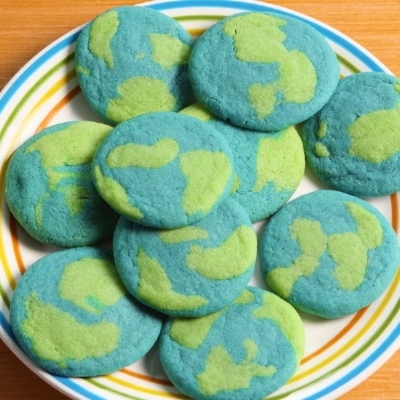 While these may not be the healthiest recipe on our list, they were far too cute to leave out. For those of you looking for something a little fancy (and fun! 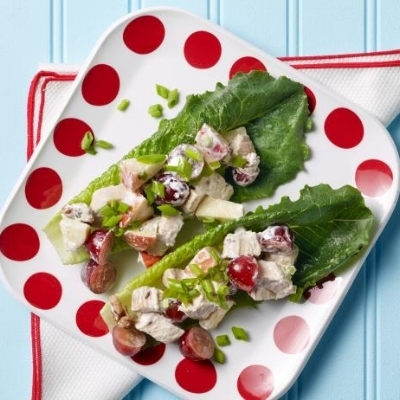 ), check out these Waldorf Chicken Boats. If you cook the chicken ahead of time and stand by to assist in measuring, children can make this recipe almost entirely on their own.